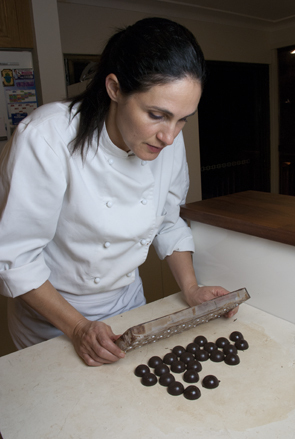 My name is Galit Segev and I am a qualified Food Scientist and a Chef. You can learn more about me here. Food is common ground. It brings people together no matter what culture, nationality or age you are. No matter what, food is just fun. Fun to make, fun to share. Understanding the science behind food gives you the power to get the results you want. In this website you will be able to read about some of the things I do, such as food consulting, Artisan Bread Mix and other products thorugh the label Bitter Bean, special programs for the CSIRO, Volunteering for Vision Australia and cooking classes. You will also be treated to delicious recipes. For Artisan Bread Mix instructions and video demonstration, please go to this page or to the Bitter Bean website.